There is a lot to see and experience in the Czech Republic. Charming towns full of historical treasures, old castles, peaceful mountains, forests, lakes, villages, people, and traditions. The Czech Republic is a great country for hiking, biking, touring, climbing towers, even tasting local wines. Covering a radius immediately around Prague, Central Bohemia offers some wonderful options for day trips from the city, such as the castles of Karlštejn and Konopiště, or the medieval town of Kutná Hora. 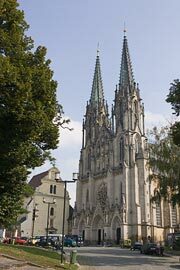 Southern Bohemia with its historic towns and man-made lakes is one of Czech Republic's most picturesque regions. It is also a popular biking destination. One of its most visited towns is the beautiful Český Krumlov. 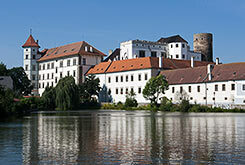 Western Bohemia is where the best known Czech spa towns are located. 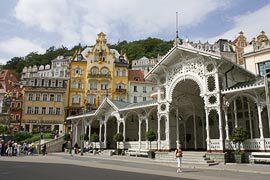 Karlovy Vary (Karlsbad) is the most popular and can be visited on a day trip from Prague. The region of Northern Bohemia contains the unique sandstone rock formations of Czech Switzerland National Park. The Bohemian Paradise nature reserve is a beautiful area for hiking, as are the Giant Mountains (Krkonoše). The charming towns of Litomyšl or Jičín as well as Eastern Bohemia's castles are well worth visiting. Six UNESCO-protected sites, gorgeous chateaus, looming castles, great biking, the second largest Czech city of Brno, and Czech Republic's best wine all make Southern Moravia a wonderful region to explore. The pleasant city of Olomouc contains the most valuable historical sights besides Prague and can even be visited on a day trip from Prague. The Jeseníky Mountains are a peaceful hiking destination.